Is global emancipation a lost cause? Are universal values outdated relics of an earlier age? In fear of the horrors of totalitarianism should we submit ourselves to a miserable third way of economic liberalism and government-as-administration? 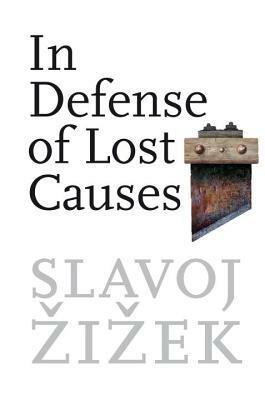 In this major new work, philosophical sharpshooter Slavoj iek takes on the reigning ideology with a plea that we should re-appropriate several ‘lost causes,’ and look for the kernel of truth in the ‘totalitarian’ politics of the past. Examining Heidegger’s seduction by fascism and Foucault’s flirtation with the Iranian Revolution, he suggests that these were the ‘right steps in the wrong direction.’ He argues that while the revolutionary terror of Robespierre, Mao and the Bolsheviks ended in historic failure and monstrosity, this is not the whole story. There is, in fact, a redemptive moment that gets lost in the outright liberal-democratic rejection of revolutionary authoritarianism and the valorization of soft, consensual, decentralized politics. Slavoj iek is a Slovenian philosopher and cultural critic. He is a professor at the European Graduate School, International Director of the Birkbeck Institute for the Humanities, Birkbeck College, University of London, and a senior researcher at the Institute of Sociology, University of Ljubljana, Slovenia. His books include "Living in the End Times," "First as Tragedy, Then as Farce," "In Defense of Lost Causes," four volumes of the Essential iek, and many more.